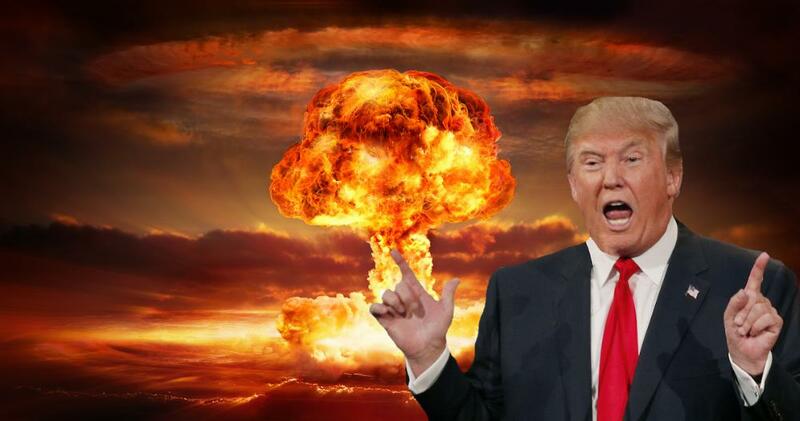 Trump threatens North Korea with “fire and fury,” signifying nuking. The internet panics. Dear Leader took a break from his 17-day golf vacay today in order to yell about how he won't be taking no guff from North Korea, noting that any further threats will be met with "fire and fury." By which, we are pretty sure, he means nukes. That pretty red button isn't gonna push itself! Do you think he said "fire and fury" enough times? Twitter is not sure. Trump's "fire and fury" comment is oddly similar to one by President Ryan in Tom Clancy's Executive Orders. Speechwriter has a thesaurus? Fire and fury? Trump is out here sounding like he's narrating a video game. Can we substitute an adult prez in times of nuclear threats?